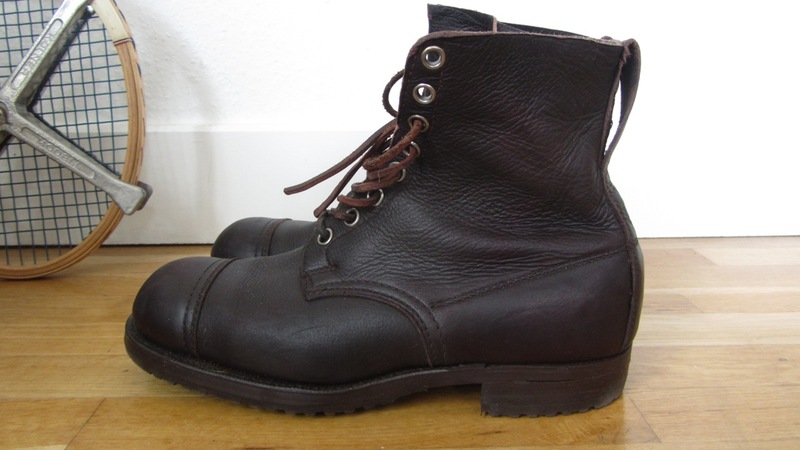 I got the boots back now with a rubber sole, gave them two soaks with “Burgol N – Juchtenfett” and broke them in a bit. 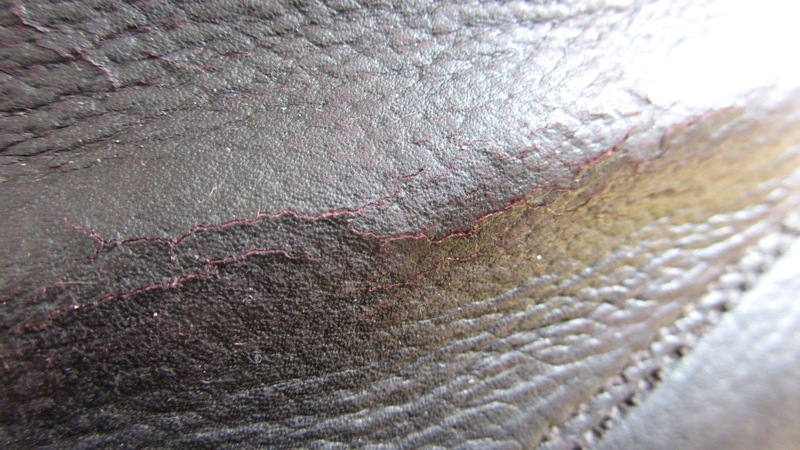 First of all the leather color is bleeding a lot and I´m sure the color of the boot will develop great. 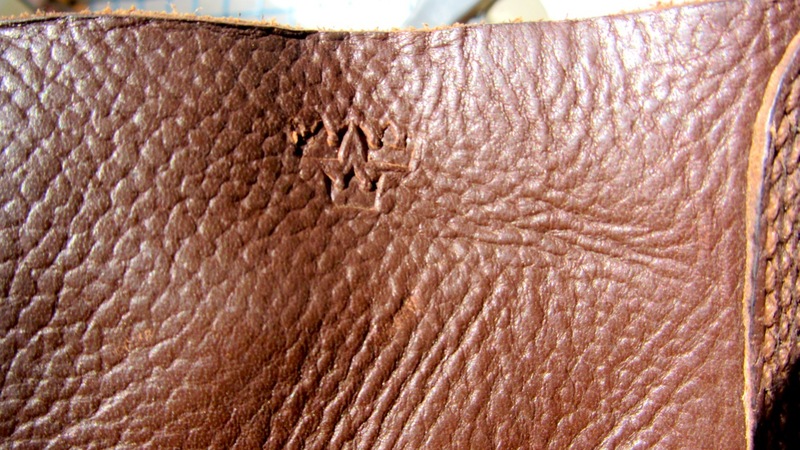 But my greatest concern is right now to keep the leather from cracking. 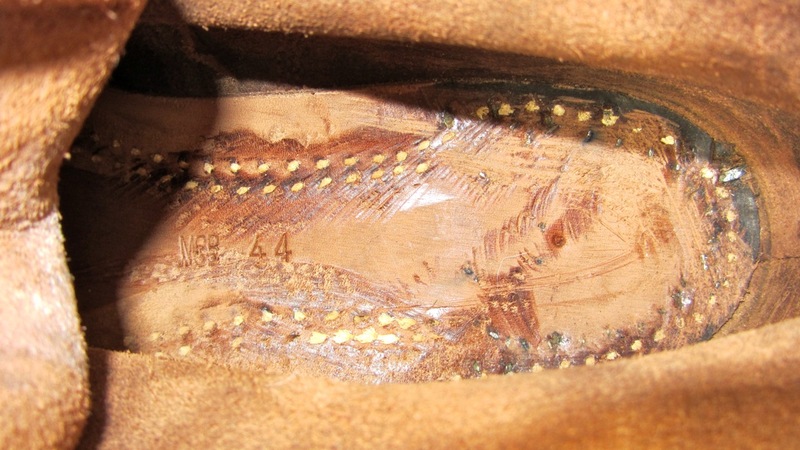 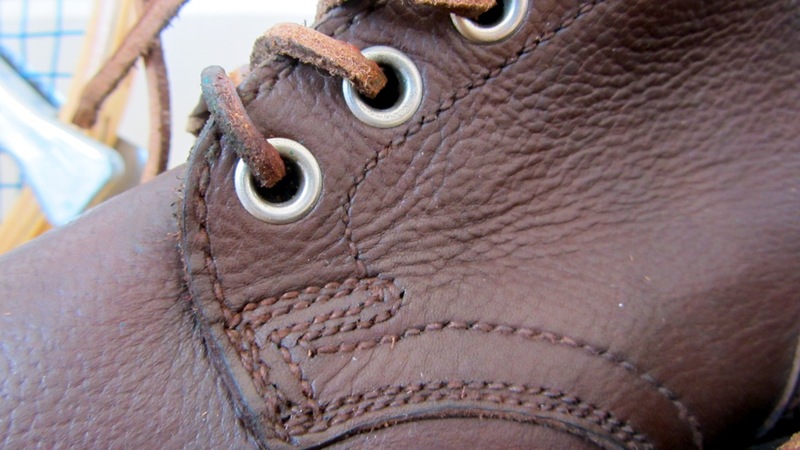 As you can see from the images only some parts and only on one shoe the leather starts to crack a bit. 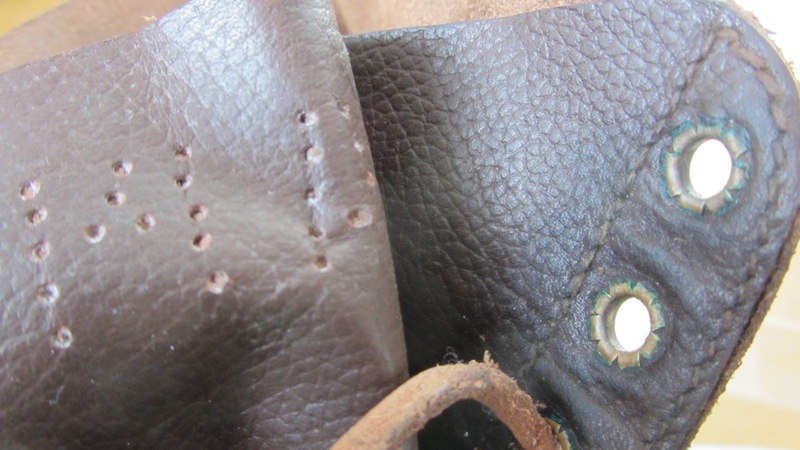 And I have to admit I pulled the loop maybe a bit to hard (or the leather wasn´t soaked enough) and it ripped a bit. 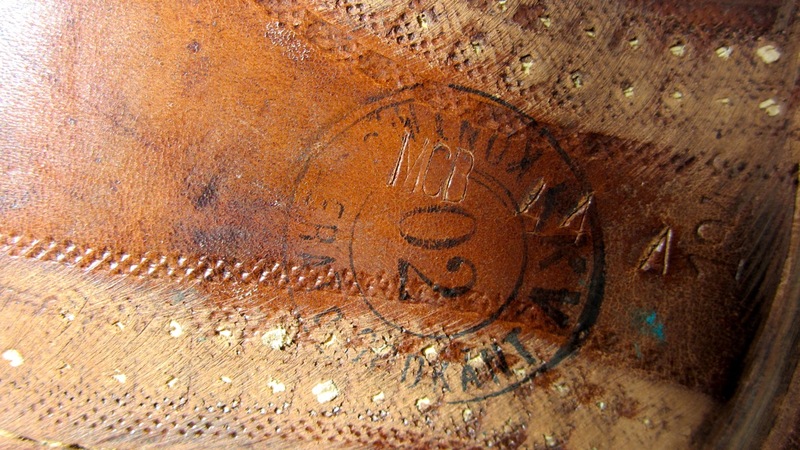 Hmm I guess 1943 was not a year theyprobalby had taken too much care for using the best leather? 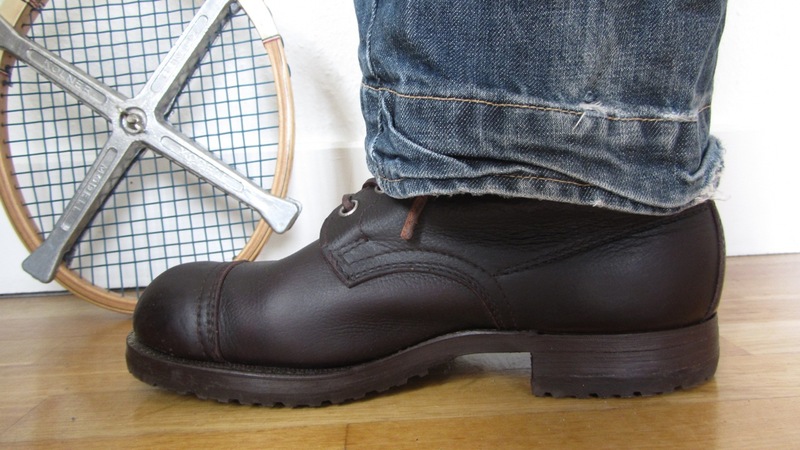 Anyhow, I will be more careful now. 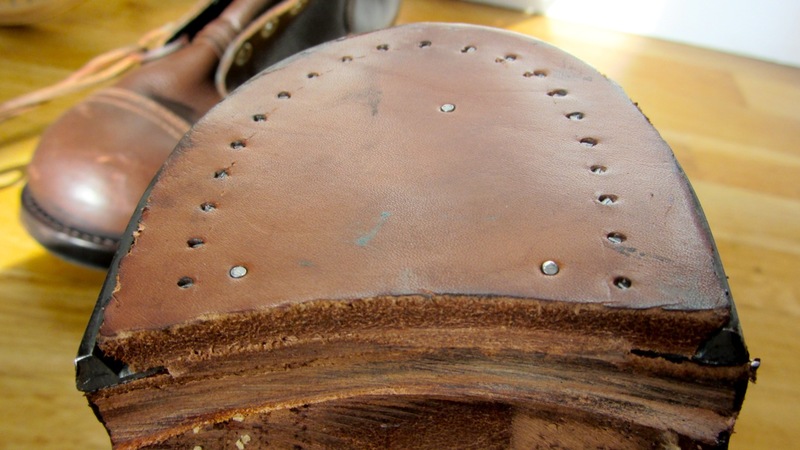 Simon Tuntelder from After the Denim gave me a great advice to use pure Neatsfoot oil / Klauenöl or Klauenfett to treat the dry leather with. 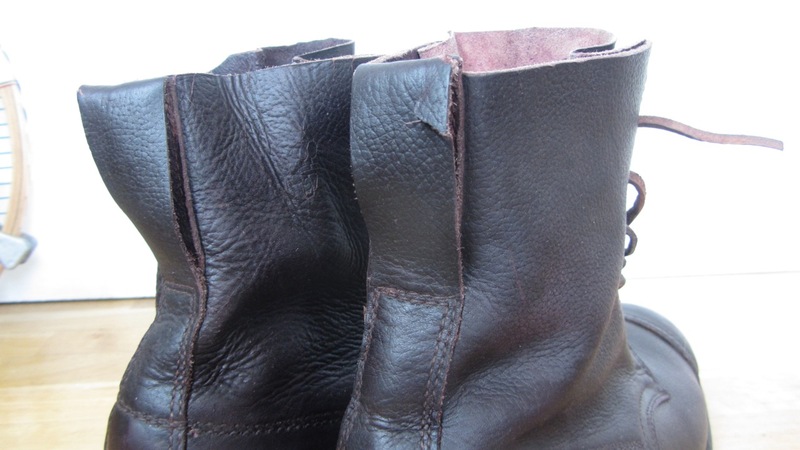 It´s not that the leather feels dry but after all this years I guess the boots have earned the best treatment. 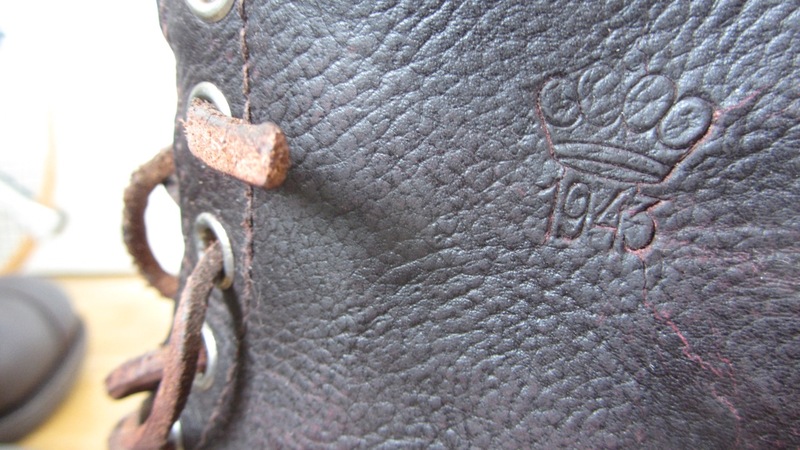 – Swedish army boots, brown from 1943 with the leather sole. 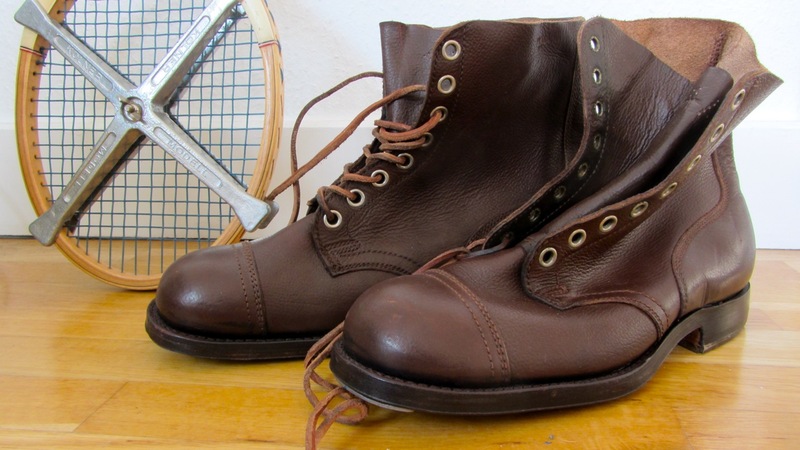 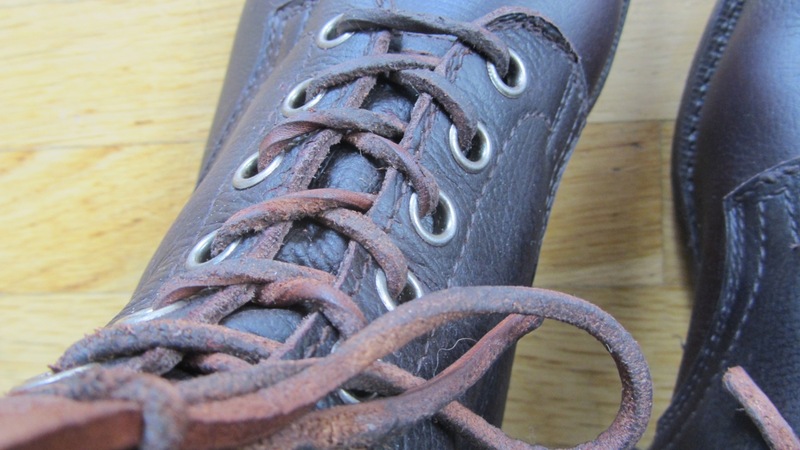 – Swedish army boots, brown from 1946 with the leather sole. 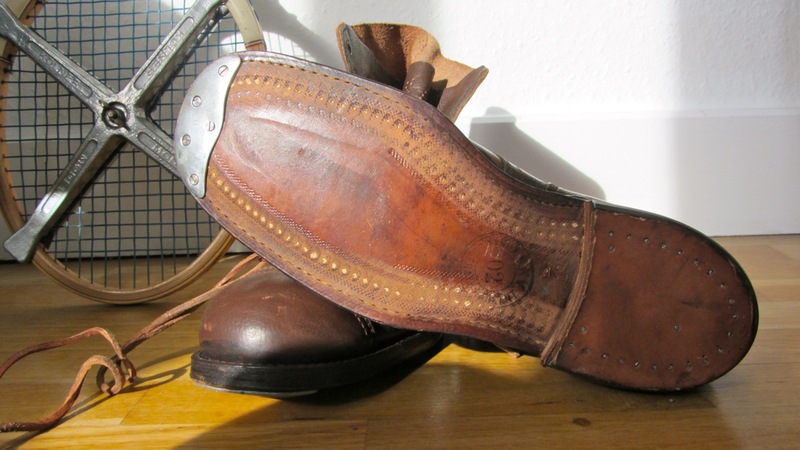 This entry was posted in Style and tagged 1943, 1946, 2nd world war, after the denim, dry leather, klauenöl, klauenfett, leather, leather treatment, old leather, resoled, rubber sole, simon tuntelder, soak, swedish army boot, WWII on 15. 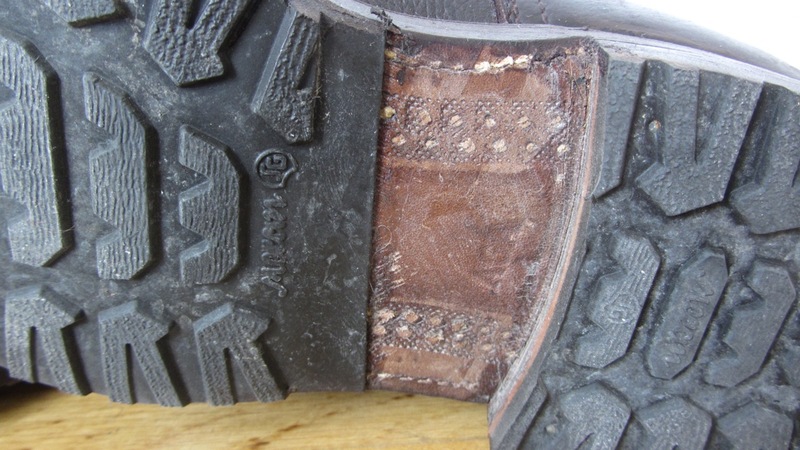 April 2012 by Alex.